At only three atoms wide, these wires couldn't possibly be any thinner. While you aren’t likely to find a diamond that contains only 10 atoms and weighs less than a billionth of a billionth of a carat on any engagement rings, these extremely small diamonds known as diamondoids are very useful in laboratories. They consist of interlocking cages of carbon and hydrogen, like LEGO building blocks taken to the molecular level, and because they are so small, they can do things regular diamonds can’t. Back in 2002, scientists achieved a breakthrough in diamondoid research when they found a way to isolate and purify larger diamondoids, giving them access to a wider variety of shapes and sizes. They’ve since used these 99-percent-pure diamondoids to improve electron microscope images, coat computer chips, and now, create ultra-thin electrical wires. Scientists from Stanford University and the Department of Energy’s SLAC National Accelerator Laboratory (SLAC) have paired diamondoids with sulfur and copper atoms to create electrical wires that are only three atoms wide, the thinnest in history. The results have been published in Nature Materials. According to the study’s press release, this ability to shape and control materials accurately down to the atomic level could be useful in a variety of ways. 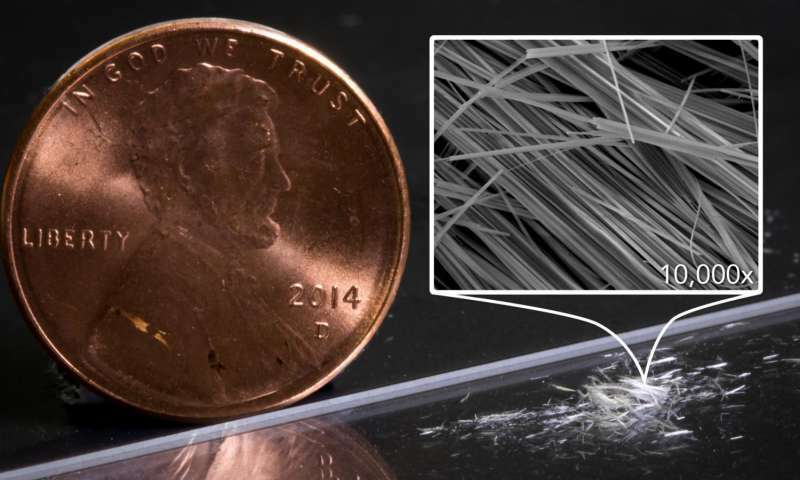 The tiny electrical wires could be integrated into electricity-generating fabrics, optoelectronic devices, and even superconducting materials that would be able to conduct electricity without any loss. Materials on the small scale can retain extraordinary properties that are lost when they are composed in bulk. The researchers believe taking advantage of these properties using their assembly technique could lead to entirely new types of materials for entirely new uses. “This method gives us a versatile toolkit where we can tinker with a number of ingredients and experimental conditions to create new materials with finely tuned electronic properties and interesting physics,” said Melosh.